When Beyoncé sang, “Who run the world? Girls,” she had every right to make that assertion and it has nothing to do with the fact that there was an entire Jeopardy category devoted to Queen Bey. As the woman who nabbed the cover of Time's Most Influential People issue, Beyoncé knows of what she speaks. But all of that can't be acknowledged without mentioning her powerful position as frontwoman of uber successful R&B group Destiny’s Child. Throughout the early to mid 2000s, the women of DC reigned supreme, dropping chart-topping hits like nobody's business and racking up a ton of commercial success and some of music’s highest accolades along the way. 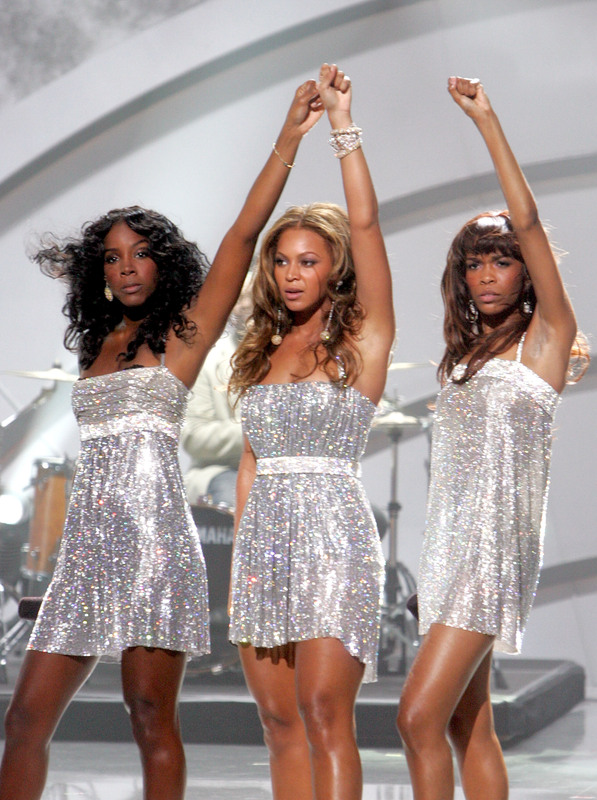 In 2001, the group nearly dissolved after a public fallout led to them parting ways with two of the original group members, but thankfully for the millions of Destiny’s Child fanatics, the group's missing limbs regenerated into a new foursome, which eventually whittled down to a workable trio of Beyoncé, Kelly and Michelle, affectionately known as DC3. If all that DC history feels like it happened an entire lifetime ago, then this list of 10 things that were different when Destiny’s Child ruled the world just might make you a little nostalgic for the past—or in some cases, maybe not. In 1999, DC released their second album The Writing's on the Wall that basically launched them into world-ruling status—two years before Apple released its first line of iPods in 2001. When DC ruled the world, Swift was performing at local events and learning how to play the guitar. Believe it or not, there once existed a time in which absolutely no one kept up with the Kardashians. While DC was making hits, a 19-year-old Kim was busy eloping with music producer Damon Thomas in what was her most low-key vow exchanging ceremony to date. Back in the early 2000s, Yeezy had just caught his big break producing tracks for Roc-a-Fella artist Jay Z.
Seriously…what is life without selfies?!? Apparently, it’s the complete opposite these days…or so I’ve been told. In 2003, well before DC showed up and showed out for their 2014 Super Bowl halftime performance, a 30-second ad cost $2,100,000. This year, it cost about $4 million. Going on the run in 2004 was much more economical.